You’ve seen CSI the show (or maybe you haven’t). Now try it for yourself. 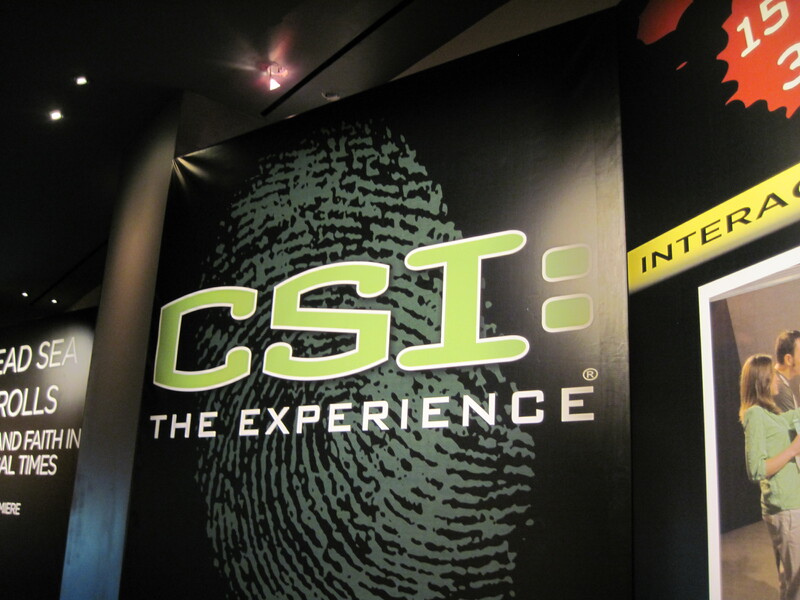 CSI: the Experience is making its way around the country, and is in Discovery Times Square (I’m not sure of the ending date, though it is a limited engagement). The exhibition has three scenarios (crime scenes). While we were able to go through all three (we had to complete one circuit and then go back to the entrance again), my understanding is that this is not the case any longer, and that you have to pay an additional fee to go through a second scenario. Review: Mamma Mia on Broadway – Appropriate for Kids? Okay, let’s start with the question most families with young kids have. 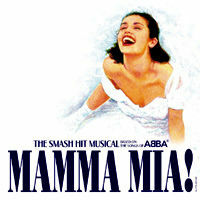 Is Mamma Mia appropriate for kids? Well…..it depends. The American Natural History Museum is so immense you just can’t see it in one visit. Or two. Or three. So here are 7.5 ways to explore it with your kids! Whether you choose a special exhibit or a permanent one, pick one and explore it in depth. Given the high cost of visiting the museum, newcomers to the museum might want to stick with the standard holdings unless there’s an exhibit you REALLY want to see. The special exhibits are add-ons, i.e. they cost extra. For permanent exhibits, don’t miss the Milstein Hall of Ocean Life (that’s where the big whale is), Fossil Hall (with the dinosaurs), the Grand Gallery (the beautiful 77th Street lobby), or the gemstones. I dragged the kids and husband – who did not understand my desire to see quilts hanging from the ceiling. 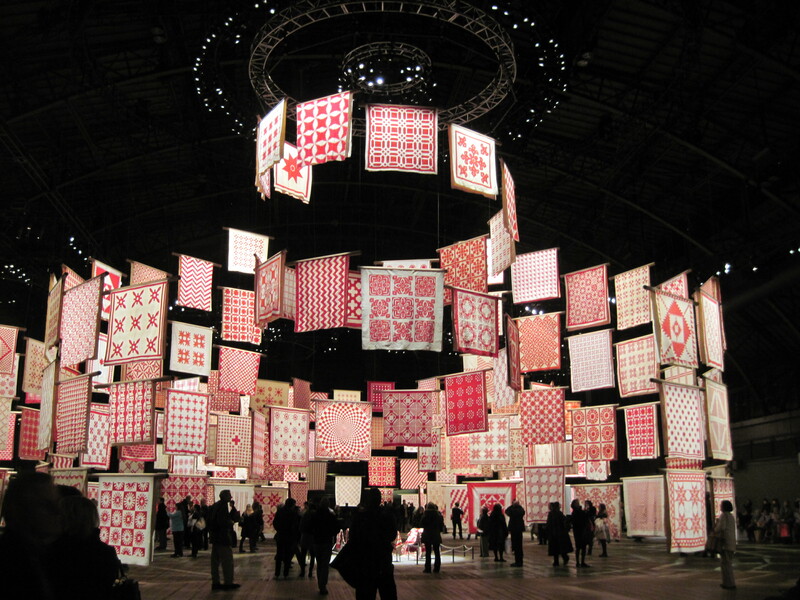 I tried to explain – it would be 650 quilts – all in red and white. They still didn’t get it. But once they walked into the fabulous armory (which itself is an architectural masterpiece), they were also awestruck. The Metropolitan Museum of Art is so big, you won’t see it in one trip. So don’t try. 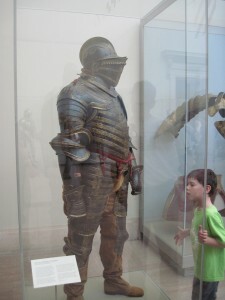 Here are 4 ways to explore the Met with your kids. On our first visit, we gave the kids the regular map and told them to pick two things they each wanted to see. And then we had them lead the way. The kids picked the Temple of Dendur and the Egyptian wing, the instrument room, the swords and armor, and I can’t even remember the fourth. We had a fabulous time exploring…until Zachary had a melt-down at the end, in the instrument room. He was tired. He was hungry. It was time to go. We were there almost two hours, and considered that visit highly successful. 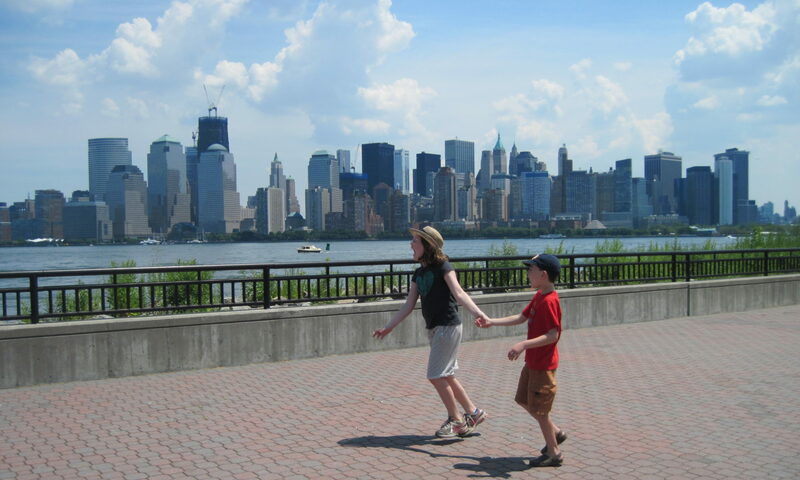 The next trip was with Alison Lowenstein, author of City Kid New York: the Ultimate Guide for NYC Parents with Kids ages 4-12 (plus she’s the author of City Weekends: Greatest Escapes and Weekend Getaways in and Around New York). 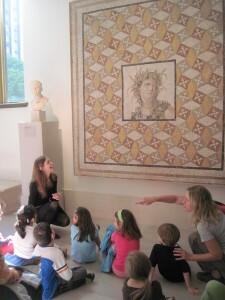 She’s a pro at visiting the Met with kids. For this visit, Alison led us to the lower level, where the (free with admission) tours and programs for kids are held. We did an Art Trek, where the Met guide took us to several works of art, and discussed them a kid’s level. At the end, they got to draw one of the pieces. 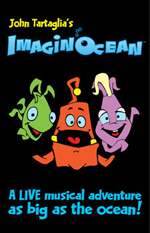 The program lasts an hour, and is for kids ages 5-12 (they divide them into age-appropriate groups). The kids liked the program, though that guide didn’t leave enough drawing time for them at the end. The Met offers hundreds of family programs each year, including drop-in drawing sessions, festivals, the “Discoveries” program for learning-disabled and developmentally disabled kids, holiday programs (including select Mondays), story times and more. In the search for kid-friendly Broadway shows, Billy Elliot was on the list. After all, it centers on a pre-teen boy, with plenty of peers in the cast. But would my 7 year old son want to watch a boy doing ballet? Would he fall asleep during the three hour production? Would he understand the plot about the British coal-workers’ strike? How would he react to the curse words used during the production? I needn’t have worried. Both he, and my 9 year old daughter, loved the show, and so did I. Even in nose-bleed seats.